The February 1804 Democratic-Republican congressional nominating caucus selected the ticket. Unlike the previous election, the nominating caucus did not meet in secret. 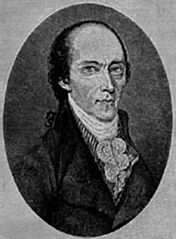 Jefferson's re-nomination was never in any real doubt, with the real issue being seen as who the party would nominate to replace Vice President Aaron Burr, whose relationship with Jefferson had soured. 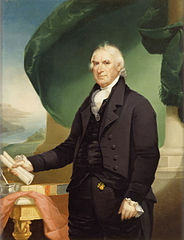 Governor George Clinton of New York was chosen as Jefferson's running mate, continuing the party's tradition of nominating a ticket consisting of a Virginian and a New Yorker. The Federalists did not hold a nominating caucus, but Federalist Congressional leaders informally agreed to nominate a ticket of consisting of Charles Cotesworth Pinckney of South Carolina and former Senator Rufus King of New York. 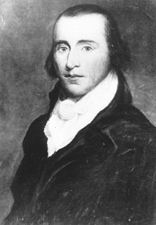 Pinckney's public service during and after the American Revolutionary War had won him national stature, and Federalists hoped that Pinckney would win some Southern votes away from Jefferson, who had dominated the Southern vote in the previous election. Federalist leader Alexander Hamilton's death in July 1804 following the Burr–Hamilton duel destroyed whatever hope the Federalists had of defeating the popular Jefferson. Leaderless and disorganized, the Federalists failed to attract much support outside of New England. The Federalists attacked the Louisiana Purchase as unconstitutional, criticized Jefferson's gunboat navy, and alleged that Jefferson had fathered children with his slave, Sally Hemings, but the party failed to galvanize opposition to Jefferson. Jefferson's policies of expansionism and reduced government spending were widely popular. 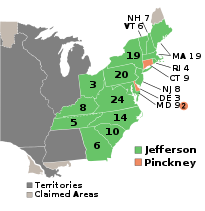 Jefferson was aided by an effective Democratic-Republican party organization, which had continued to develop since 1800, especially in the Federalist stronghold of New England.